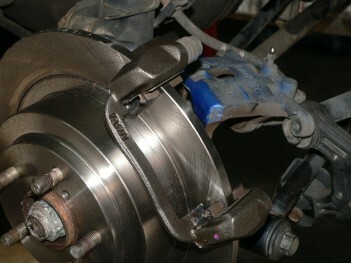 The H6 Upgrade conversion is an easy, effective, and inexpensive upgrade for your rear brakes. A LOT of Subaru's are eligible for this upgrade. 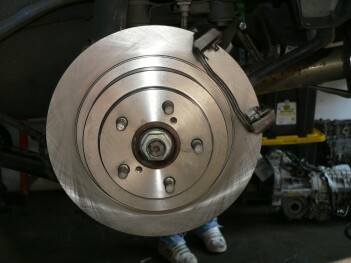 Just ask KNS Brakes if you are interested! 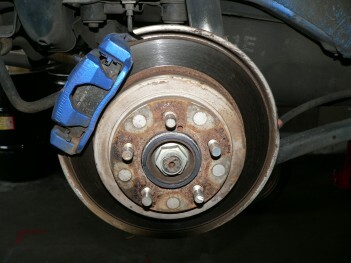 Lift the car by whatever means necessary, remove rear wheels. 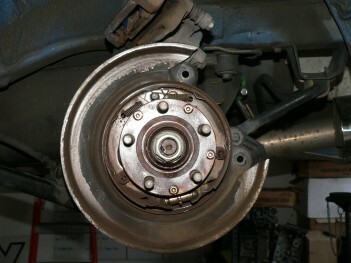 Remove the Caliper from the bracket, the bracket from the backing plate, and the rotor from the hub. Make sure you remember where each slide pin is located in the bracket, they are not the same. 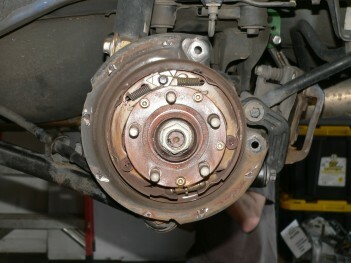 Remove the outer shroud to make room for the larger H6 rear rotor. Use a hammer and a chisel to remove the spot welds all the way around the shroud. This is what you will end up with. You may want to clean up the spot welds and paint the backing plates to reduce corrosion. 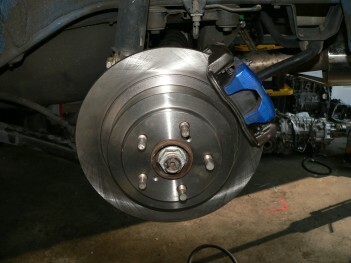 Install the new rotor and H6 bracket with the correct pad hardware (ask KNS brakes if you are not sure if you need hardware or not). 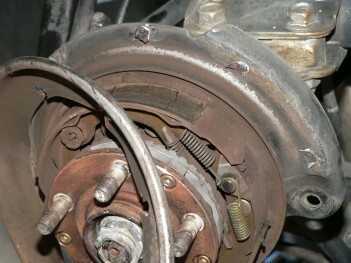 Use the same bolts for the OEM Bracket to bolt the H6 bracket to the backing plate. Install new pads and OEM slide pins onto H6 Bracket. 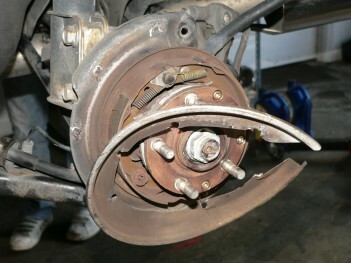 Place OEM Caliper onto new bracket and bolt the caliper to the slide pins.